In the LA area this week? 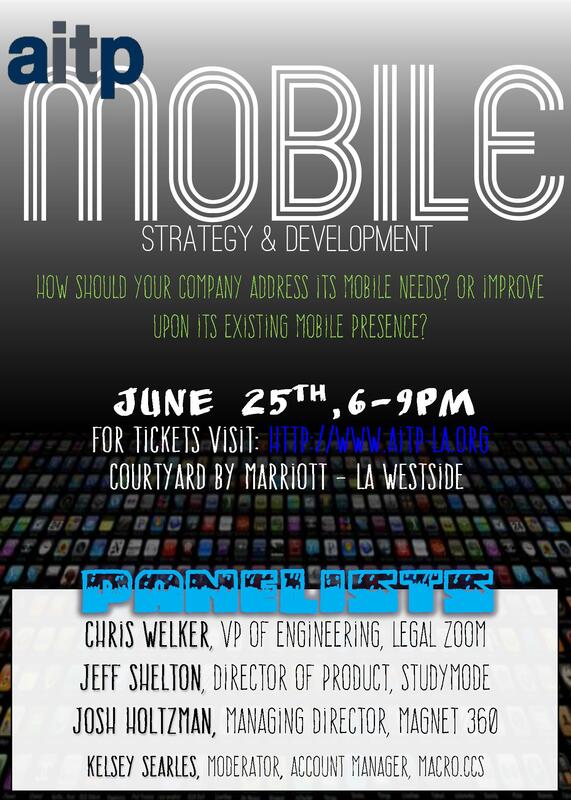 If so, we’d love to have you join us at this month’s AITP-Los Angeles chapter meeting where Branch Manager, Kelsey Searles, will be hosting a panel on Mobile Strategy and Development. The event starts around 6pm with networking, followed by dinner and the panel discussion. Tickets are $35 for non-AITP-members, $28 for members and will be for sale for the next 24 hours.